As plastic is eclipsed by tightening industry legislation, Ronpak’s leading environmental efforts offer a focused look at managed sustainability and better practices in the commercial packaging space. 16 Jan As plastic is eclipsed by tightening industry legislation, Ronpak’s leading environmental efforts offer a focused look at managed sustainability and better practices in the commercial packaging space. 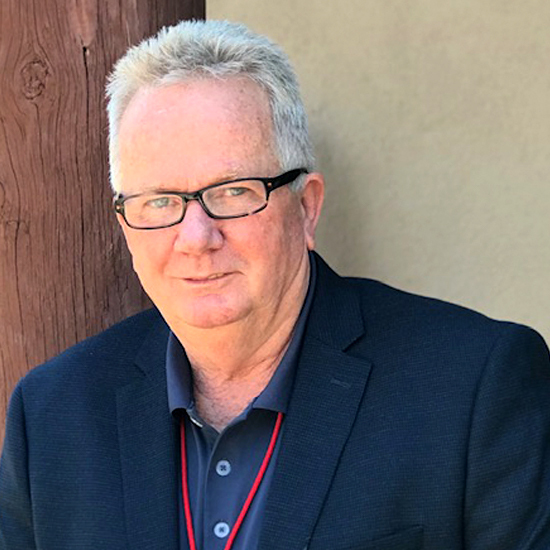 It's 2019, and staying afloat in the US plastics industry these days is getting much harder. Companies and brands are getting impacted with non-compostable end products. Products that are “compostable” can be placed inside or with other decaying bio-degradable materials, eventually turning that product into a resulting material that has organic benefit. “Compostability” has now become a quantifiable attribute for commercially-produced products sold in particularly environmentally-conscious markets like California and the rest of the west coast. Since the EPA considers composting or compostability a degree of recycling, the idea that products should have the capacity to be compostable has taken hold within the commercial packaging industries. Products that fail to meet the Compostable specification will start to feel the pinch. For example, in the recent past, a manufacturing customer was found to have products placed in 22 stores on the West coast; but because that particular product was non-compostable, that company was given three months to find an alternative to produce and then take to market. That’s three months – from zero to shelf. The result of these regulations? You will start to see product after product receive some sort of fine or penalty unless alternatives can be developed and produced as a replacement in time. That’s not very pleasant news for many products that never needed to consider what happens to products “post-use”, is it? To American consumers, the soda tax wasn't ever a thing. But it is now. Cities are moving faster to target and ban plastics packaging. The plastics industry continues to get hammered as more states ramp up their current or pending plastics legislation. Policymakers are working throughout the industry to find and remedy manufacturing points of failure or non-compliance as related to food packagers and those standards. Many states are creating their own methods to oversee regulatory controls, taking cues from states like California, who has “led the pack” so to speak for years with focused and fairly aggressive legislation governing facility environmental impact, exhaust emissions, and even safety for surrounding habitat. In one form or another, everyone seems to defer to California when it comes to making new policy. Even as the plastic industry competes, they are clearly getting singled out for the detrimental effects plastics can have on our environment. California probably has more experience in environmental positions as this goes back to her Arnold Schwarzenegger days. He implemented several tools and monies to look into these environmental concerns. It’s not just aerosol industries; it extends across all sorts of chemical Industries or anything that may have an adverse effect on the environment. The result is that everybody wants to fall in line with California. The West coast has traditionally reacted faster to the environmental impact of produced products. For instance, Washington state has a implemented a fee around plastic bottles for sodas. Washington established a 25 percent penalty on consumer sodas in order to fight & prevent obesity in younger people. So Washington citizens are now rewarded with an additional fee for purchasing a typical gas station soda. Washington state, Oregon and other Pacific coast cities are moving ahead punishing plastic. Couched as a necessary health reform, plastic straws have been banned in all three states from top to bottom and at least 25 state legislatures have got new regulations ready before now to plan to ban plastic straws. Another example of a complete statewide plastic bag ban can be found in Hawai’i, where all of its counties prohibit the usage of non-bio-degradable plastic bags (at checkout) as well as paper bags manufactured with >40% recycled material. 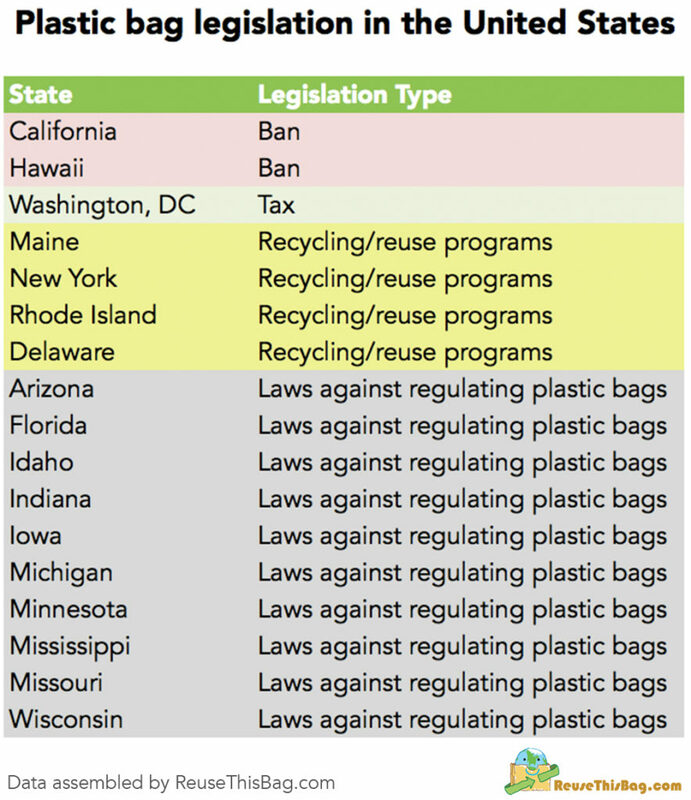 Kauai, Maui and Hawai’i established plastic bans from 2011 through 2013; the city of Honolulu had bans in place by 2015. As state of Hawaii, for example, has banned single use plastic bags state-wide for years, now. Additionally, Hawaii is now pursuing legislation to get cigarette smoking banned inside the state by increasing the minimum smoking age to 100 years old! Today, food packaging products must be compostable in addition to retaining their recyclable capacity. Biodegradability is now the norm instead of the exception. In today’s packaging manufacturing, everything must pass a Compostability Test – be it a paper or plastic product. Some Compostability tests can even take up to 18 months to conduct! Currently, Ronpak is already testing their commercial paper product lines for compostability and adherence to composting guidelines & standards. Plastics products, on the other hand, typically cannot pass similar Compostability testing. How are these compostability tests performed? Compostability testing includes time lapse & video photography of product packaging to demonstrate how the bag itself degrades and composts over time. This is part of the 18-month testing cycle that Ronpak is already working towards with its own products. The compostability of each tested bag is then recorded & documented. There are no plastics content present in these types of industrial composted products, which ultimately gets sold to Lowe’s or Home Depot for consumer use. Once Ronpak completes all their bag compostability testing, they will then be able to update each of their packaging products to show the “Compostable” logo and the “How-2-Recycle” stamp on all produced bags. This information helps teach the end-consumer how to get rid of the bag once they use it. A QR-type block code (read from any smartphone) instructs the consumer about recycling and post-use. In this way, Ronpak can continue to promote Consumer Responsibility even at the end of a product life cycle. Additionally, any time Ronpak brings on a new source supplier, that supplier is examined and audited to ensure that the new supplier adheres to Ronpak’s environmental and sustainability requirements. Ronpak is aware of all materials contained in their products from the supplier standpoint and there are no components of Ronpak products that are not biodegradable (with the exception of the shrink-wrap required for shipping pallets). Any and all Ronpak suppliers must continually meet (and pass) all FDA requirements relating to the biodegradability of their source products. 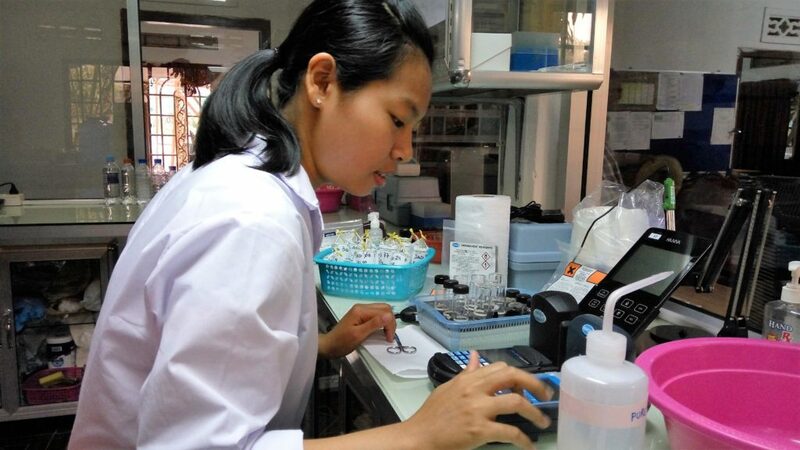 All Ronpak suppliers consequently submit to Ronpak what’s known as a “Letter of Guarantee”, that demonstrates each supplier’s FDA compliance status. For each Ronpak supplier of record, those supply sources have stated and subsequently proven they meet or exceed all FDA & government requirements with respect to food-based paper packaging products. Ronpak enlists the Compostability testing services of BPI – North America’s leading certifier of compostable products and packaging to review and certify that all Ronpak-produced client food packaging containers and paper products adhere to the compostable requirements now demanded of food packaging sources. The Biodegradable Products Institute’s Certification program ensures that all products & packaging that show the BPI logo have been independently tested, certified and verified according to scientifically-based accepted standards. Ronpak’s affiliation with BPI testing ensures they promote and subsequently follow the best practices for the conversion and recovery of compostable materials in the manufacturing of their clients’ end-product. Ronpak commits itself to meet or exceed all environmental rules and regulations in the paper products manufacturing industry and to strive to protect our environment through sound sustainability management practices and decisions. Ronpak will prevent immediate and nearby pollution by striving to minimize waste generation and resource consumption. Ronpak will establish and evaluate (in timely fashion) achievable environmental & sustainability performance goals to ensure continual improvement of its commercial packaging products. Ronpak is dedicated to the practice of sound environmental stewardship and the promotion of health, safety and the well being of our shared planet and our family of employees. These values originate with Ronpak’s top management team, and are emphasized through all levels of responsibility within the company.